Warning: An error occurred during installation: Failed to move away or delete existing target file: C:\testinstall\sdk\tools Move it away manually and try again.. I don't see how I can remove \tools manually because it contains \bin\sdkmanager.bat. Where sdkRootPath is path to your original SDK folder (C:\testinstall\sdk\). Once that is done, delete the C:\temp\tools\ copied folder. it might be permission issue.Can you try doing sudo or if you on windows try to run terminal as administrator. I have seen issues where the program is not able to delete the folder either due to lock or some weird reason. Run cmd in root c:. You could temporarily rename to tools.old, run it to install new version in tools and then remove the old one. 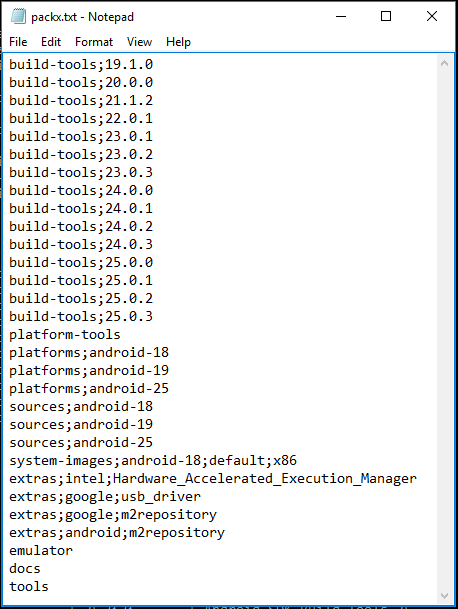 Delete the Android SDK Tools via Android Studio (although it might complain it failed). Start Android Studio and then do the install of the Android SDK Tools via Android Studio. I've had the same issue on windows, I couldn't even rename the directory that is causing the issue. I found out that adb was still running and ended the process and update/install worked fine without workarounds. Not the answer you're looking for? Browse other questions tagged android android-sdk-manager or ask your own question. How to install Android SDK Build Tools on the command line? How to update Android emulator without Android Studio? How to accept licenses with flutter doctor? Is GUI for Android SDK manager gone? How to install SDK manager on linux ubuntu 16.04? How do I install android sdk tools without automatically running update command?